Made in 1999 by Stephen Budd using oak grown in Branscombe. The church contains a rare surviving example of wall painting, dated about 1450 and discovered in 1911. 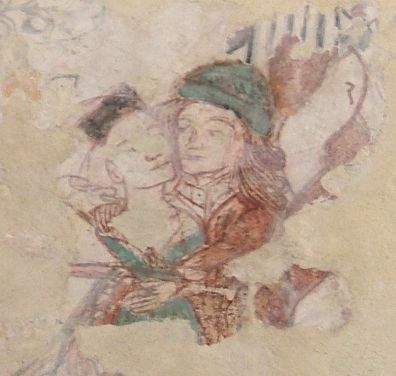 The couple in this fragment illustrate Lust. 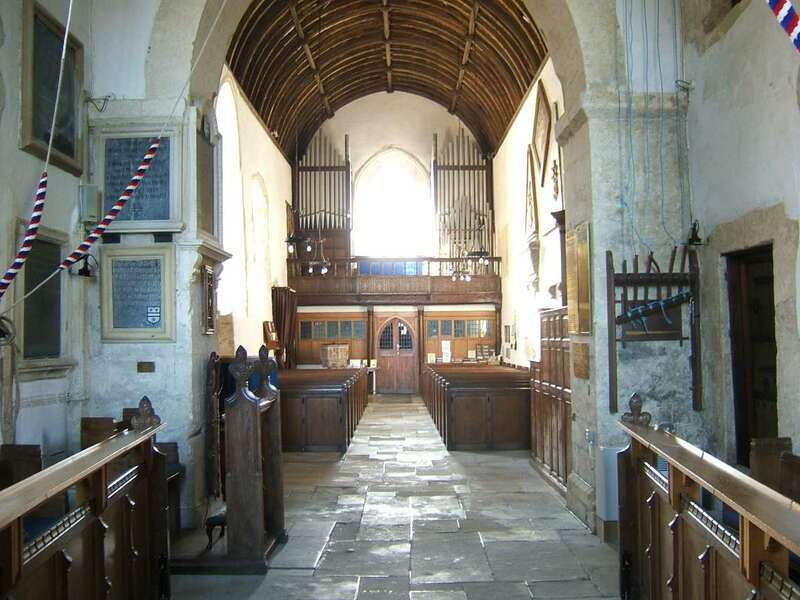 The Church has six bells, the oldest dating from 1635. The ringing team practices at 7.30 on Wednesdays. They would like to recruit new members and be able to ring once a month on Sunday. Captain of the Tower John Bass, 01297 680432. 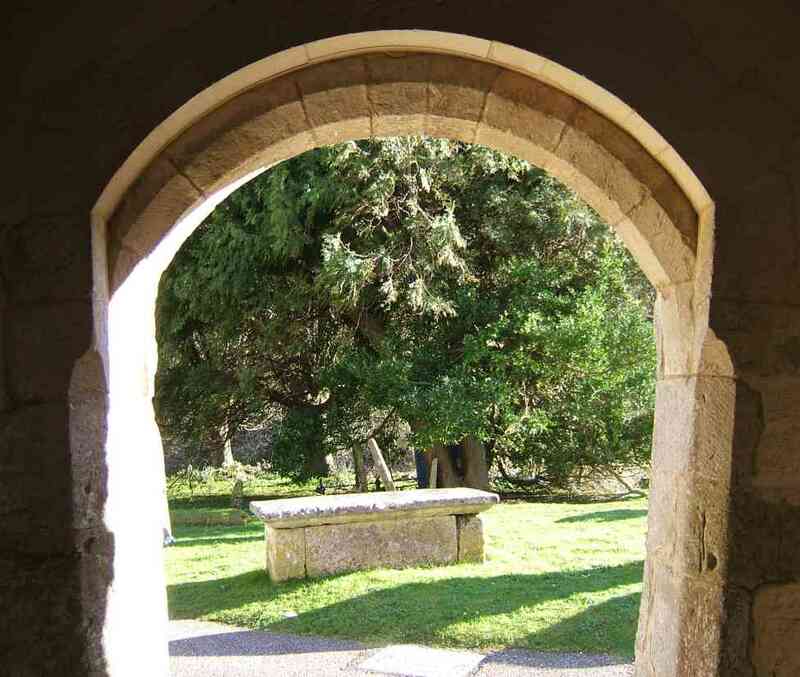 A fascinating talk about the ancient Churchyard and what it reveals about village history, given at the Branscombe Project. Characteristic Saxon chiselling on stones hidden in the turret staircase suggest the probability of an earlier, 10th century, Church on the site. Saint Winifred’s is among the oldest and most architecturally significant parish churches of Devon. 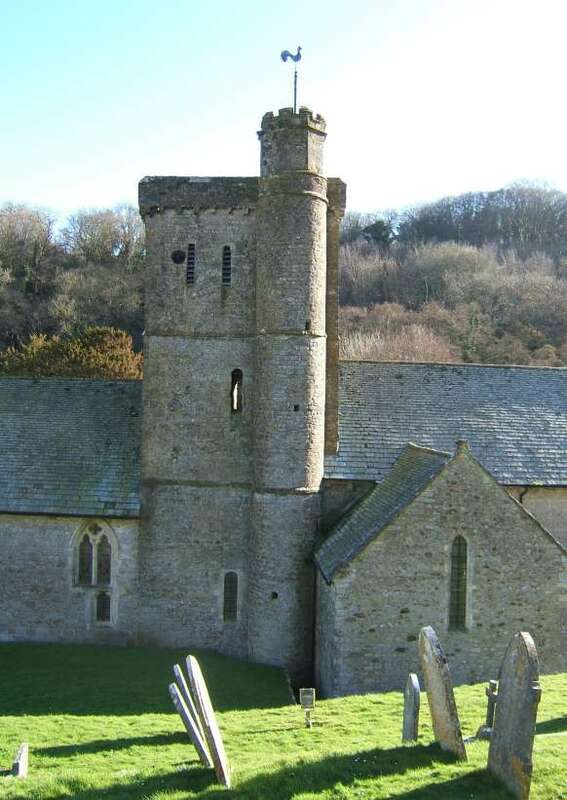 The 12th century square central tower is one of only four completely Norman towers in Devon. Parts of the nave walls to the west of the tower are also Norman. The transepts stand very unusually to the west of the tower and are perhaps mid 13th century. 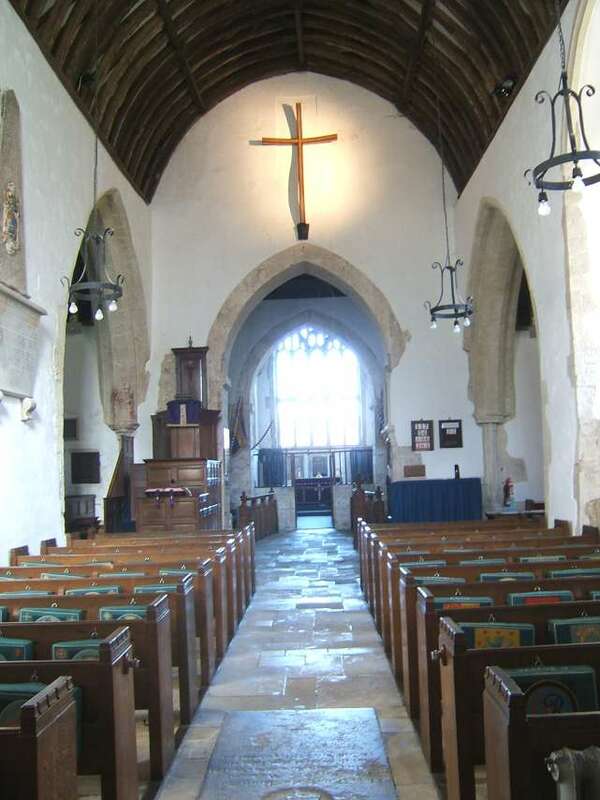 The chancel is early 14th century, though the east window was replaced in the time of Bishop Neville (1458–64). 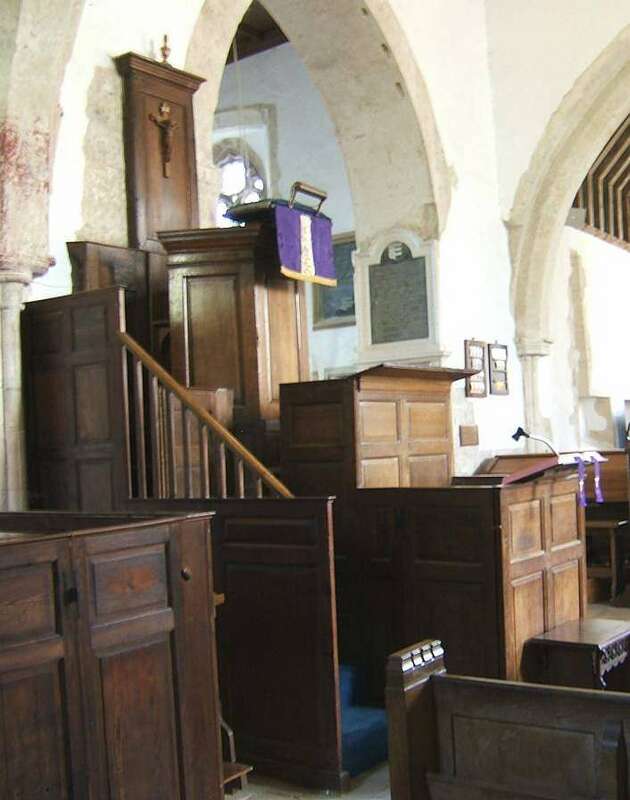 Interesting features include the font which is 15th century and the 18th century pulpit which is a three-decker and almost unique in Devon.The lessons are read on the lowest level, while the middle is for prayers and the hexagonal third level for the sermon. 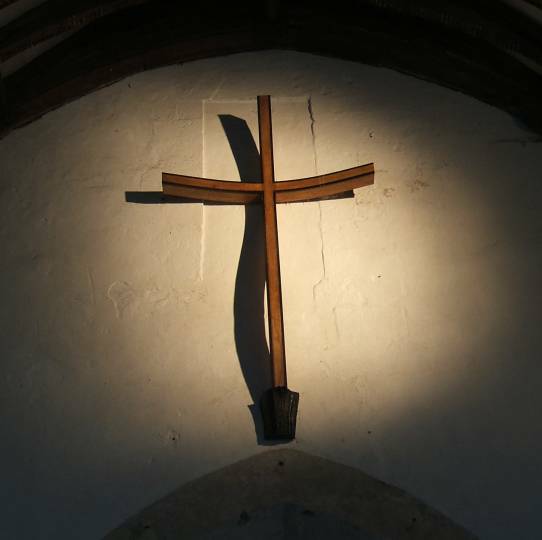 Other woodwork includes the fine Elizabethan oak gallery, and the 17th century chancel-screen and altar rails. 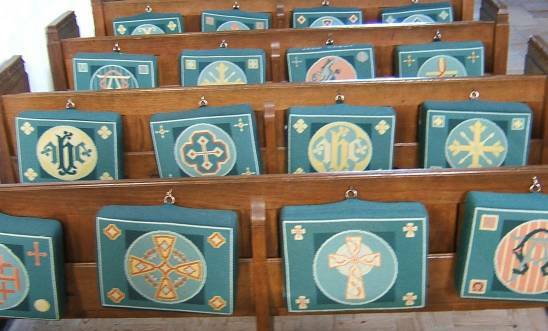 The 115 kneelers for use in the pews were hand-embroidered between 1982 and 1995, mostly in the village, to designs by Pamela Tickell. 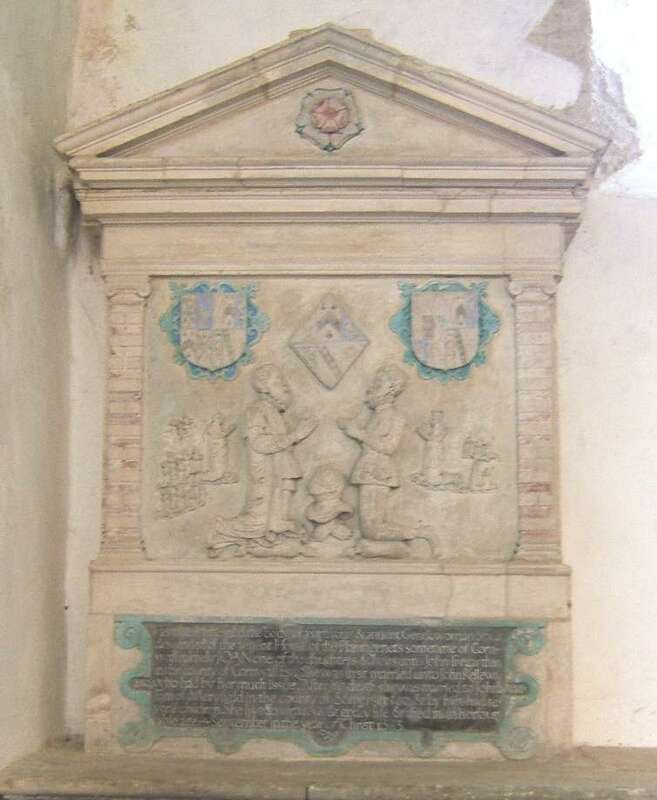 Many are memorials to individuals, while some show heraldic designs related to the thirty-four crowned monarchs who have reigned during the life of the church. A full guide to the Church building, written by Ronald Branscombe and illustrated by Angela Lambert, is available in the Church. This fine tomb is of Joan Wadham, who died in 1583. She had 14 children by her first husband, John Kellaway, and 6 by her second, Sir John Wadham. Their son Nicholas was the founder of Wadham College Oxford. 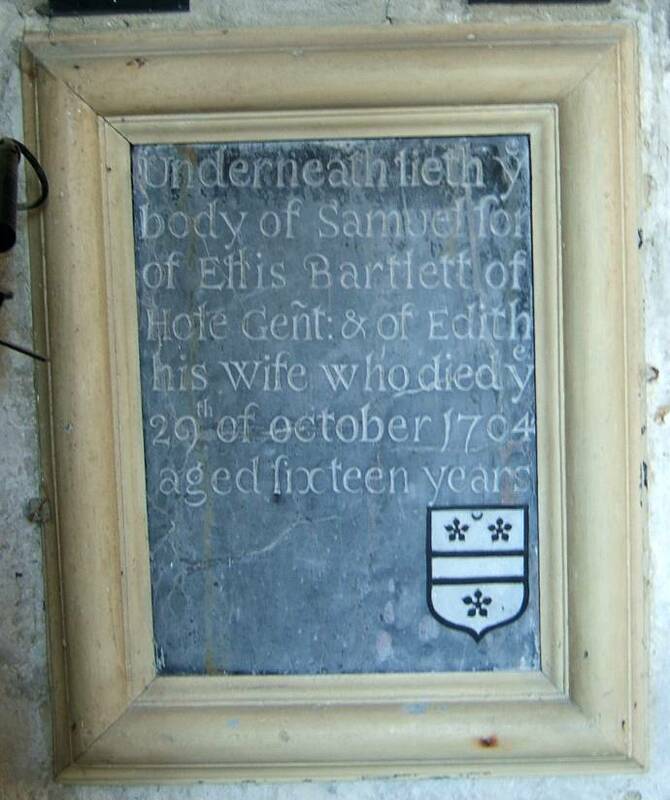 Mrs Edith Bartlett died in 1704 aged sixteen years. It is not recorded on this tablet whether she had any children.